Worried about having all the right papers and visa requirements? Or struggling at the border because of lack of Spanish? Or being tricked by one of the many scams at the border? Don’t be. Our guides have done this several times before and will make sure you have everything you need and help you when crossing the border! Don’t skip all the fantastic destinations from Cusco to La Paz simply because you’ve seen Machu Picchu! With Bolivia Hop, you have the chance to see so many more amazing places such as Lake Titicaca, the HIGHEST lake in the WORLD, cycle the MOST DANGEROUS road in the world, the infamous DEATH ROAD or visit Isla del sol, the birthplace of the sun god according to Inca legend! What are you waiting for!? Check out some of our extra tours! Transport safety conditions in Peru and Bolivia can often be a big worry for travellers. Road accidents due to overworked, tired drivers can be a serious issue. However, Bolivia Hop prioritise safety on the road. We have a large team of drivers and assign 2 drivers to any trip longer than 4 hours. We also don’t have any tight deadlines. This is so drivers don’t feel the need to break speed limits rushing on the road. Finally, to ensure safety and comfort there is constant contact between the drivers/guides on the buses and the Bolivia Hop office. Our guides are fun and helpful people who are incredibly passionate about their homeland. They are always prepared to assist with whatever you need or answer any questions you may have. Want to see more local, less touristy restaurants, bars or attractions? Our guides have the best inside information about EVERY destination. Learn more about our guides here. 5 BOLIVIA HOP IS FOR EVERYBODY – REGARDLESS OF AGE OR NATIONALITY! We’re proud to have had people from all over the world on our busses! With Bolivia Hop, people from all places and of all ages are welcome! Whether you’re travelling alone or with friends, if you’re with your partner or family, everyone is welcome in our Hopster gang! We love passengers with a passion for travelling, who always want to get involved and who want an unforgettable experience! Have a look at our who travels with us page for more. 6 WE GIVE YOU A TRULY AUTHENTIC EXPERIENCE OF BOLIVIA AND PERU! Our guides give you more than just the typical experience of Bolivia and Peru. They have the inside scoop on every must-see thing along our route! Thanks to their knowledge, Bolivia Hop is able to truly immerse it’s passengers in the culture of South America. Try some of the most authentic local food at our Puno lunch stop or try Peru’s famous pisco sour while travelling to/from Cusco. Or really meet and get to know local people by experiencing an overnight homestay on the floating Islands of Uros, on Lake Titicaca. We pick you up and drop you off right at the door of your hostel/hotel. Don’t worry about waking up at a crazy time to catch a taxi to the bus station and pay for another taxi to your hostel on the other side. We have you covered from door to door. Enjoy the freedom of exploring the beautiful destinations of Bolivia without the worry and expense of trying to catch unreliable transport. Bolivia Hop and its sister company, Peru Hop, were created by European travelers and is operated by Bolivians and Peruvians. 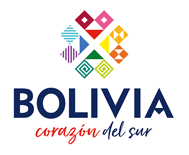 This allows Bolivia and Peru Hop to provide European levels of safety and service with all the cultural insights of local Bolivians and Peruvians. If you want to know more about the owners, take a look at the about us page. 10 REAL VALUE FOR MONEY! When you total the cost of transport, the cost price of our free activities in each of our destinations, and the complete price of other activities and accommodation that we provide discounts on (check out our discounts page), you’ll find that we work out at much better value! We also value the experience we provide above all. Our guides allow us to share the real culture of Bolivia and Peru. As well as this, the social atmosphere we offer allows our passengers to make stronger friendships than on any other form of transport. So what are you waiting for? Hop on, make some friends and Discover the real Bolivia and Peru.